Our Owners have been in the industry for over 10 years. We provide the most competitive prices. We will be honest with you. We have hundreds of clients that are 100% satisfied. You will be too! What is a Local Area Network? A local area network (LAN) is typified by what is comparatively a small geographic area. This can be put into perspective by considering that a wide-area network (WAN) may span the globe or space. Another significant characteristic of a LAN is that they typically achieve higher data transfer rates compared to WAN’s. In the developmental days of of the 1970’s saw a number of attempts to develop viable LAN methods. It was XEROX that finally developed Ethernet which continues to be one of the most common LAN options today. A number of developments have occurred in the various component fields of LAN since its inception decades ago but some of the original brands and concepts have continued a process of innovation that has allowed them to maintain their presence in LAN and WAN. Switched Ethernet for example has become the most common protocol on LAN’s today. In the simplest implementations of a LAN you may simply have two computers connected by a single cable. This can typically be completed with an Ethernet cable and the software that is include with the computer’s operating system. Everything from switching (various processes used in routing data from source to destination) to recognizing additions to the network has become automated. This level of automation has resulted in fewer instances of data loss resulting from data collisions (two machines attempting to transit data at the same time. In the past commonly both data packets would be discarded). In some cases the addition of multiple other computers may be desired. If that is the case there are multiple options for the physical cabling of the network. Among these are a star network, a mesh network, a ring network or a bus network. Each has possible benefits to be taken advantage of and each possible drawbacks. The basic bus network is considered to be one of the most stable network designs. The design of the network is one that involves connecting each node (workstation / computer) to a single bus line. Among the benefits are the fact that nodes can continue to work even if some stop working. However due to the linear nature of the cabling cable loss (loss of data that occurs over the length of cable) can become a factor if the nodes are not located close together. A ring network is one where the nodes are connected to each other then connected to a hub (central point through which data is routed in a network). The benefits of this sort of network is that less cable may be required, especially if the nodes are spread around. In some cases nodes (workstations) may be cut off from the network when other nodes (computers) stop functioning. In cases where redundancy is required or preferred a mesh network may be preferred. The design in a mesh network is one that involves cabling each node in the network to each other node in the network. The result is a highly stable network that allows constant connectivity and redundancy. When you recognize that a network is simply connecting nodes (computers / workstations) the nearly infinite possibility of networking options, and their various benefits and drawbacks, become apparent. Network speed is not always dependent on the cable it’s running on. This may or may not surprise the passionate techy who is always trying to achieve break neck speed, but the reality is that too much credit is sometimes given to the standard of network cabling the infrastructure is running on. If a network is slow, Cat 5 data cabling may not be the problem, and Cat 6 may not be the solution. 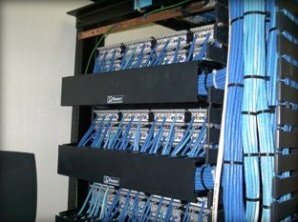 There are several issues that need addressing in a decision to upgrade data cabling, because after all, upgrading can be expensive. First of all, are the modem, router, server, switches, and other equipment new enough and fast enough to have outgrown Cat 5? Is the network primarily used for surfing the net, database entry, video streaming, or graphics design? How much traffic is on the network? Is network traffic expected to grow in the future? A quick rule of thumb among specialists is to plan for the future on new installs. If there is no existing network, use the best cable finances will allow, in anticipation of future technology advances. Assume that business demands will continue to grow, and network traffic will increase. On the contrary, if there is an existing network, but it is experiencing slowdown, investigate the reason for slowdown before replacing all of the network cable. Replacing cable is a time consuming and expensive project. Often, the culprit behind slowdown is deteriorating equipment, or bad cable connections, and replacing either one will probably be less expensive than tearing out old cable and installing new. If the network is experiencing crosstalk or interference, replacing the cable might be the answer. The older Cat 5 cable was not the best for noise cancellation, and is very susceptible to interference. Find out which standard was used in the current network installation. Cat 5e was designed to address the crosstalk issue, and is much better cable for that reason. Cat 6 took it a step further and has an even better signal to noise ratio. Twisted pair cable came into existence when Alexander Graham Bell discovered EMI could be reduced by twisting the two wires of a single circuit. It was further discovered that twisting neighboring pairs in different ratios or tightness, would prevent crosstalk. Crosstalk is when transmissions from one circuit bleed over to another, or in this case, to another pair of wires. This causes signal degradation. Here are the basic differences of Cat 5, Cat 5e, and Cat 6 cables. Cat 5: This standard was the first to attempt 100 Mbps data transfer. It is usually unshielded, so EMI has a greater influence on the signal. It is rated up to 100 MHz, but because of the noise issue, it is not used very often in new installs. The wire will likely be thinner than newer standards, making it easier to run, but offering less surface space for conductivity. The more copper surface available to electrons, the higher the speeds and bandwidth possible, so less is not better. Cat 5e: This standard can be purchased as shielded – STP, or unshielded – UTP. Shielded twisted pair is essential in environments where interference is likely. For instance, if the cable will be laid in a cable trough running perpendicular to other signal and power carrying cables, interference will surely alter an unprotected signal. Other factors are RF, and wireless transmissions. Use shielded when possible, even in a clean environment because interference could become an issue in the future. 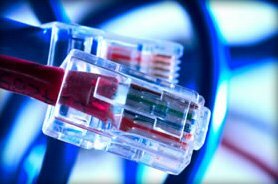 Cat 5e is rated at 100 MHz, or 350 MHz, but in actuality, there is not much difference between the two. As long as it is good quality wire and shielded, it should work in any current application. Cat 6: This was developed as an upgrade to Cat 5e by using better insulation and typically a 22-24 AWG wire. It is rated at 200 MHz. Installs might be a bit more difficult because the thicker wire and insulation take up more space in the conduit, and don’t bend as easily as the smaller Cat 5, and Cat 5e cable. However, if it’s a new install, don’t let that stop you. The noise cancellation and EMI protection will be well worth the trouble, and as technology advances, Cat 6 will be able to keep your network running fast and smooth. Keep in mind that Cat 5e STP should be sufficient to run any current network. Even with the rigorous demands of graphic design and streaming video, a quality installation should provide a network highway able to keep up with the devices that control it. Xtreme has the expertise to install any UTP or STP cable to the highest industry standards, giving the network the foundation it needs for many years. We serve the entire Denver area. TROY AND HIS TEAM WERE FANTASTIC THROUGHOUT THE ENTIRE PROCESS. THEY TOOK DOWN OUR TV’S FROM OUR PAST HOUSE AND RE-MOUNTED THEM IN THE NEW HOUSE. DUE TO THEIR HARD WORK AND PROFESSIONALISM, WE ALSO HAD TROY’S TEAM ADD SECURITY TO THE NEW HOME, WHICH HAS BEEN GREAT! EXCELLENT CUSTOMER SERVICE AND THEY STAND BEHIND WHAT THEY DO. WELL DONE! REVIEW BY RON C. IN BROOMFIELD, CO PROJECT:INSTALL, REPAIR, OR CONCEAL HOME THEATER WIRING PROFESSIONAL INSTALL DONE RIGHT FOR THE PRICE. REVIEW BY FRED F. IN WESTMINSTER, CO PROJECT:INSTALL, REPAIR, OR CONCEAL HOME THEATER WIRING TROY WAS VERY EASY TO DEAL WITH AND HIS PARTNER FRANK DID SOME GREAT WORK WIRING A TV SYSTEM AND PATIO SPEAKER SETUP. THEY STAYED AT THE HOUSE UNTIL THE JOB WAS DONE AND CLEANED UP VERY WELL. A VERY PLEASANT GUY TO DEAL WITH.